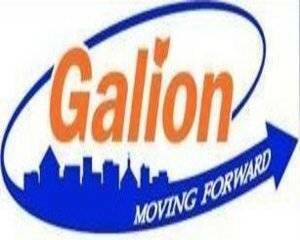 GALION — Galion City Council met on Tuesday to address multiple new items of business. They also saw the start of the process that could result in the formation of the Galion Visitor’s Bureau. The first reading of an ordinance that would direct bed-tax money to the Experience Galion group was approved. Experience Galion will operate the visitor’s bureau if it comes to fruition. Erik Flick, a board member of Experience Galion, addressed council about plans to expand the group’s current board to include a city-appointed member as well as its plans to promote Galion. The ordinance was passed 7-0 on it’s first reading, and will be read again at the next council meeting. Prior to the beginning of legislation, a public hearing was held to discuss the re-zoning of land that was recently annexed near the intersection of Ohio 598 and U.S. 30. The land is in the area of the Sleep Inn and the new Valero store, which broke ground earlier that day. O’Leary said the re-zoning of the land was a necessary step to clean up the annexation approved recently. He also said bids for surveying the area and the Ohio 598 expansion would be opened soon. Council members also discussed an ordinance regarding the placement of 5G cellular towers inside the city limits. “This will not stop 5G towers from being built within the city, but it will give Galion the ability to affect the placement of them and collect fees,” said Law Director Thomas Palmer. The ordinance was moved to a final reading and passed by all members of council. Another piece of legislation involved the money awarded by the Freese Foundation for city parks projects. The ordinance took care of moving the grant to the appropriate fund in order for it to be used as specified and get the planned projects in motion soon. It was moved to a final reading and passed unanimously by council. In his mayor’s report, O’Leary made mention of the Memorial Day parade this coming Monday that will step off at 10 and march to Fairview Cemetery where a memorial service will take place at 11 a.m. The mayor also noted that with increasing vandalism to parks in the city, residents can expect to see the installation of security cameras in those areas.